Jeff Kros pulls son Jarred home from North school. Like many parents on the snowy Tuesday afternoon, Jeff Kros waited outside North school to give his son Jarred a ride home. 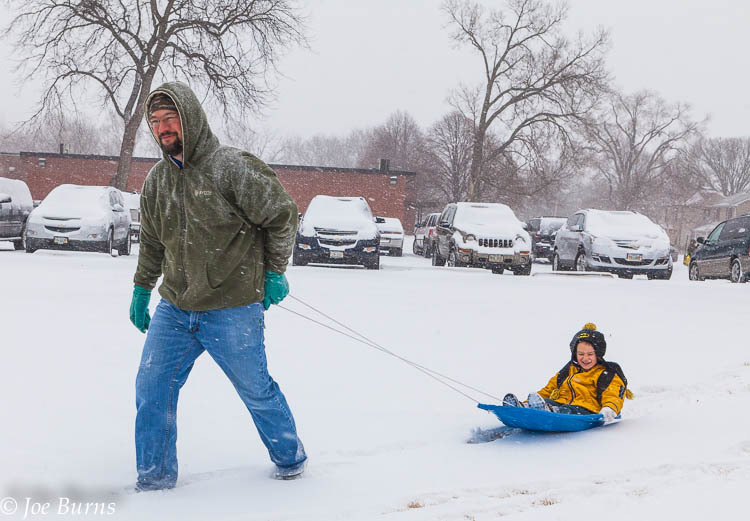 But instead of pulling uo in the family sedan, Jeff pulled his son toward home on a sled.